Godfrey and Laurene Checkley purchased Welds Hill from Estate I.G Checkley in April 1989. At this time two blocks were also sold to E.R. Beech of Stronsay and R. Oswald, Duntroon. The remaining 1088 hectares of Welds Hill continued to be farmed by the Checkleys until 2009 at which time the hill country block of Welds Hill was sold to Stronsay Farms Ltd. In 2005 a vineyard was established on the river flats by the Checkleys with the remainder of Welds Hill continuing to be farmed as an irrigated fattening property. The vineyard is planted in Sauvignon Blanc grapes. Weld's Hill, named after Sir Fred Weld, was once a large run of about 15662ha. Today it is a freehold property of 1675ha owned by the Estate I G Checkley (since Nov 1982) and farmed by Mr & Mrs Godfrey Checkley. Previously it was farmed by Weld's Hill Farm Ltd, Blenheim and leased by Mr Ian Checkley from 1962 (when Mr Jack Checkley also took over the lease of the block once known as Tinline Downs, later Stratheona and today Awatere Downs). The Checkley Bros (Ian and Jack) took over from their father, Dallas in 1958 and worked in a partnership until 1962. The property ranges in height from about 289M at the homestead to approx 610M on the hill country above the Medway. Through the years aerial topdressing and oversowing have helped to increase considerably the carrying capacity of the hill area. The average yearly rainfall at Weld's Hill is 761 787 mm. The flock is corriedale and the Checkleys breed their own replacements. Hereford cross cattle are bred - breeding cows at present number about 200. No cropping is done nowadays but about 4ha is put in green fee annually. Both lucerne and meadow hay is made. In former years cattle were fattened and small seeds harvested. Lucerne hay was made an oats and turnips grown for winter feed. Originally Weld's Hill was taken up by John Tinline about 1850. 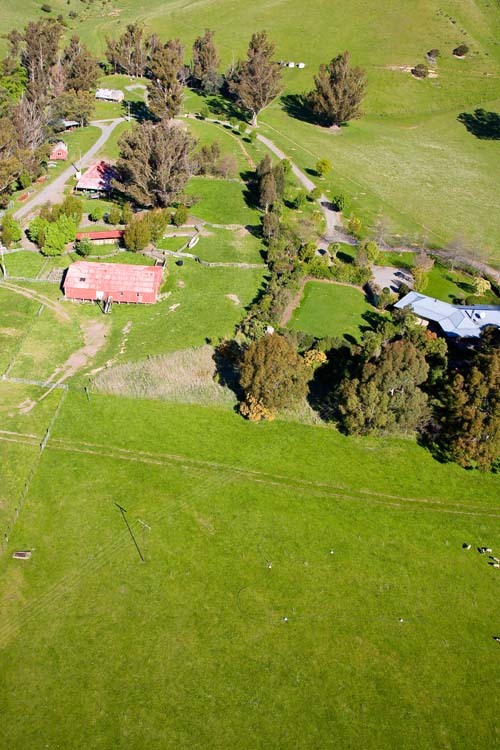 By 1851 he held by Crown Grant approx 6457ha - 4824ha freehold, the rest leasehold. By 1860 the freehold was his but in 1867 it was sold to P & N McRae of Blairich - only to go back to Mr Tinline in 1871 at a reduced price. 1876 saw it resold to Philip McRae but due to hard times it fell into the hands of the NZ Loan & M. Ag. Co Ltd for a short time in 1887 but then it was taken over by the Bank of NZ (later the Assets Realisation Board of the Bank) which conducted a proper survey and found themselves with 8747ha. The Bank, at about this time, also took over Awapiri and part of it - about 2023ha and Camden 7689ha were run from Weld's Hill. In 1905 we find that Mr J F Foster is managing both Upton Downs (also in the hands of the AR Board) and Weld's Hill and that a larger part of the work if being done at Weld's Hill. The bank cut up the Weld's Hill block in 1908. Awapiri and Camden leases having already gone to Mr E Parsons. Mr W L Oswald acquired 1237ha, Mr A D West about 567ha, the McGowan family 1707ha and Mr Wm F Conway the homestead block in 1911 of 2530ha. A few years later, Mr Conway sold 81ha along the Medway to John Harvey. In 1920 Messrs Dallas and Geo Checkley of Akaroa purchased Weld' Hill. In 1922 the title went to Dallas and Est. Geo. In 1940 to Dallas Checkley. In 1921 the sheep numbers were considerably reduced owing to rabbit infestation. However with extra staff, poisoning and the advent of the Rabbit Board, this was largely overcome. The original Weld's Hill homestead (cob part built by Mr Tinline) was burnt down in 1979 - parts by then had been lived in continuously for over 120years. A cottage was built in 1970 - this has been altered and is now the homestead. A new woolshed was built in 1946. Access to the property (and to others in the Medway area) was greatly improved with the opening of the bridge over the Awatere in 1921. This, however, was washed away in 1923 - it was rebuilt and opened again in 1927 and replaced again in 1973/75. Thirty hectares of land in two terraces nearest the river have now been converted to vineyard. This is now an established block producing high quality sauvignon blanc grapes.